New listingTITLEIST 14-WAY LIGHTWEIGHT CART BAG, BLACK/LIME LITTLE USED, GREAT CONDITION !! THIS BAG HAS SEEN VERY LITTLE USE AND IS STILL IN VERY GOOD, ALL-ROUND CONDITION REPRESENTING EXCELLENT VALUE FOR MONEY. 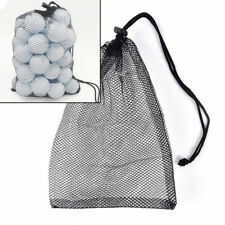 callaway golf shoe bag. Dispatched with Parcelforce 24. Despite this it is still a nice bag and good to use. Callaway hyper dry fusion 14 way divider carry bag. 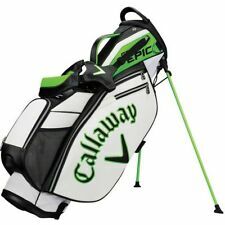 Callaway HyperDry fusion carry bag. 14 way divider, water proof, all zips working perfectly. Great condition. Complete with rain hood. SEE PICTURES SHOWING A LITTLE WEAR BUT OTHERWISE IN GOOD CONDITION. 14 WAY DIVIDER. 100% WATERPROOF IN BLUE/WHITE. COOL POCKET, VALUABLES POCKET . Complete with original carry strap and raincover. 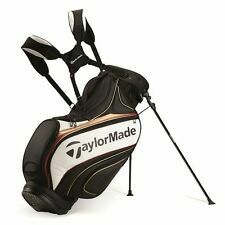 Taylormade Cart Golf Bag ONLY £76.50!! SHOULDER CARRY STRAP. USED CONDITION. 4 POCKETS,6 WAY TOP DIVIDER. HAS MARKS FROM BEEN USED. AS PER PHOTO. WITH LARGE SPACIOUS STORAGE POCKETS. Tee pocket. Zip off belly panel for embroidery. Ball pocket. Live local?. 2 hard shell accessories pockets for added protection. 3 Point shoulder strap. Easy grab pouch for pens and score cards. Hook and Loop Glove Holder. 1 Waterproof Dry Pocket. For Other Colour & Style Variations Check Out. 2 Full Length Apparel Pockets. 48 Hour Dispatch. Umbrella tube and trolley anti twist base system. Shows age related signs of normal use but still has lots of life left in it. 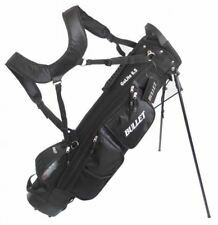 TITLEIST STAND GOLF BAG WITH COVER. 6 WAY DIVIDER. USED BUT IN VERY GOOD CONDITION. SEE PHOTOS FOR DETAILS. Powakaddy 'Trolley' Bag- Sturdy strong well made bag. Complete with Rain Covers. Callaway Golf Hyper Lite 3 Stand Bag (2018) CLEARANCE! WERE £189.00 NOW ONLY £89.99! +UK NEXT DAY DELIVERY! Lightweight "Hoofer Lite" Ping carry/stand golf bag. Dual shoulder harness. Lightweight weighing just under 2 kilos. Small area of wear as per photo No.2 otherwise in a good used condition. 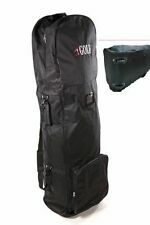 Full size Callaway Golf Bag, 7 way divider, with rain cover. Used for a max of 4 rounds (basically brand new). Open to offers, collection. Part of the Callaway Strata series. Strata PLUS duel strap 7 way stand bag. Strata ultimate stand bag. 7 way full length divider system with rain hood included. brolly holder/ umbrella holder. BLACK GREY BLUE. This bag has been used and may have a few small marks ( standard wear and tear ). Perfect for a half or three quarter set. 5" PENCIL GOLF BAG. Taylormade Golf. Umbrella holder. Double padded carry strap and single handle, both adjustable to suit you. You are looking at my following golf item up for sale. Black grey and yellow in colour with logos either side and front. 14 individual dividers and a separate putter well provides enough room for all of your clubs, allowing excellent organisation and easy access. Glove and towel holder. A total of 7 pockets, including a valuables pocket, a ball pocket, an accessories pocket and a drinks pocket. 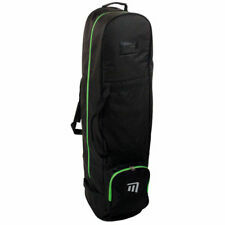 8 Division Lightweight water resistant Nike Xtreme Sport Stand Carry Golf Bag. Condition is Used. A few marks and wear to upper part of dividers and a rubber is missing from one of the stands legs but this does not effect use Multiple pockets of various sizes including cool compartment, all zips working. Please see photos to confirm condition. Comfortable carry strap system. Comes with rain hood. Dispatched with tracked and insured 48h Courier. TAYLORMADE PLAYERS 9.5" GOLF TOUR STAFF BAG / AS USED TOUR !!!!!!!!!!!!!!!! TaylorMade Golf 2018 Pro Cart 6.0 Bag (Black/Charcoal/Blue) WAS £109! Golf club bags keep all of your essentials together when playing a round of golf, perfect for storing golf clubs, balls and any other extras you may need. 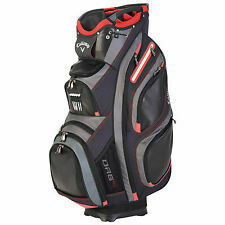 Here on eBay, you can find a wide range of golf club bags from cart, stand to carry bags from leading brands such as Titleist, Ping and TaylorMade. Staff bags are considered to be top of the range. Staff bags are usually used by the pros and they often display a brand logo. They have a lot of room and are more suited to those who have a large collection. The weight of the bag tends to be around 10 pounds but what they lack in lightness they make up with plenty of storage space. They are usually very durable and they have the ability to withstand years of use. Cart bags are smaller than staff bags. Cart bags are designed to be carried on a riding cart or even a pushcart. They are not the best option for you if you plan to walk around the course or carry the bag on your back. They tend to weigh around 6 pounds and they can give you access to all of the pockets while they are attached to the cart as well. A lot of cart bags also come with rubber bases so they don't slip off the cart, even when it's raining. 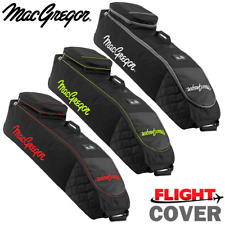 Stand bags feature a unique design when compared to other styles of golf bag. They feature two retractable legs that, when pulled out, give you quick and easy access to the pockets. Other stand bags come with a backpack strap and to help distribute the weight more evenly. Some also feature padding on the back and along the hip section to helps with stopping the bag from rubbing or digging in while being transported.